Can You Lose Weight With The 3 Day Military Diet? You are here: Home / Blog / Can You Lose Weight With The 3 Day Military Diet? Wouldn’t you love to lose 10 pounds over just 3 days? It sounds like an amazing idea, especially if you have clothes that you want to fit into or a function that you want to attend. This idea has become incredibly popular through a fairly recent diet. It’s known as the 3 Day Military Diet, or sometimes just the Military diet. So, does that 3 day military diet work, or is it just a whole lot of hype? Well, that’s what we’re going to find out. So, have you seen information about the 3 day military diet around? To me, it’s a bit strange. The diet has been getting a lot of attention, even though the diet is extremely rudimentary and they don’t explain the reason for the various requirements. After that you do four days where you are following a 1,500 calorie diet. So, you are restricting yourself to 1,500 calories a day. ​Then, you start it all again. Now, those 4 days are considered to be your ‘break’ from the 3 day military diet. Honestly though, a 1,500 calorie diet can still be pretty hard to follow, so you’re not really getting a break at all. The most basic piece of logic with this diet is that fewer calories = more weight loss. The food choice also makes it a little bit of a high protein diet, although the protein amount still isn’t that great. Beyond that, it’s kind of hard to work out why they made specific choices. For example, why are hot dogs and ice cream included in the diet. Both are fairly high in calories and offer few beneficial nutrients. According to the calculations for the diet, that 1 cup of ice cream would set you back 300 calories. On the lowest calorie day of the diet, you only get 1,100 calories of food. Should you really be spending more than a quarter of your calories on one dessert? Additionally, ice cream isn’t particularly filling anyway. Nor are some of the other items in the diet. With a low-calorie diet, one of the hardest things for people to fight is hunger. This diet would have you hungry most of the time. I mean realistically, do you think you could eat one egg and one piece of bread for lunch and then be okay until dinner? Most of the meals on the diet don’t even come close to being filling. Besides all of that – some of the meals just sound gross. You want tuna, banana and ice cream for dinner? Really? The diet also cuts out a lot of health foods, like healthy fats, nuts and a lot of sources of protein (I mean, where’s the meat?). It does claim to be a high protein diet, but really it’s more middle of the road in that area too. 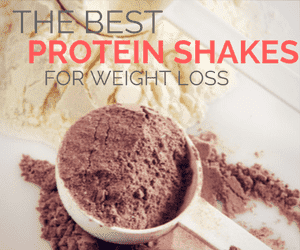 It offers some protein, but certainly not enough to stop you from being hungry. You have some more flexibility on the 1,500 calorie days and if you’re careful you would be okay. After all, 1,500 calorie diets are used as a way of losing weight fairly often. So, the diet has you bouncing between starving yourself (with a strange combination of food) and eating a more realistic menu. That sounds exactly like a fad diet to me. They are a bit clever in their wording and manage to imply that it was and was not designed by military nutritionists. The diet certainly was not designed by nutritionists. It includes and restricts food groups for no apparent reason – and leaves you with a diet that isn’t nutritionally sound. Yes, you can catch up on those nutrients on the 1,500 calorie days, but even then, you’re not doing good things for your body. The other thing is that putting soldiers on a very low-calorie diet doesn’t even make sense. If you wanted to train them how to survive on low food, maybe. But, when you are wanting the most performance out of them? That doesn’t make sense. If nothing else, you want soldiers to lose weight and gain muscle. This diet won’t do that. If anything, they’ll lose weight, lose muscle and have no energy. That’s hardly tip top shape. Regardless of why you are losing weight, thinking about your health is important. The process of weight loss can have some dramatic impacts on your body and those impacts aren’t always positive. For example, rapidly losing weight can contribute to gallstones, dehydration, malnutrition and electrolyte imbalances (1). At the same time, you can suffer from issues like headaches, fatigue, constipation, muscle loss (which can contribute to an issue known as skinny fat) and hair loss. In fact, the typical recommendation for weight loss is between 1 and 2 pounds per week (2), which is much less than the military diet promises. And I know, I know… losing weight that slowly might seem unappealing. But, the side effects of fast weight loss aren’t the only reason why losing weight slower is better for you. One of these reasons is that it is hard for the body to burn a lot of fat calories quickly. So, if you are losing a lot of weight over a very short space of time, a lot of it won’t be fat. As you might already know, a decent amount of it is going to be from water – especially in the first few weeks. Additionally, you will often lose weight from your lean tissue. That’s pretty much the opposite of what you’re trying to do. Losing weight from lean tissue also has flow-on effects as it may slow down your metabolism. That makes continuing to lose weight more difficult – especially when you get off the diet. At the same time, fast weight loss is more likely to lead to loose skin. That’s particularly true if you’re trying to lose a lot of weight (3). That happens because the skin loses elasticity and doesn’t have the time that it needs to adapt to your changes in body shape. People do lose water first when they diet. That isn’t a myth, that’s a fact. Most of the weight you lose early on is going to be water. Your body actually holds onto water for a range of reasons, especially if you’re dehydrated or if you had a lot of sodium the night before (4). Often that water will pool in extremities, which is why you sometimes end up with bloated fingers or feet. If you follow the diet long enough, then you will start to lose fat as well. But, as I mentioned earlier, you’re probably going to lose a fair bit of lean tissue as well. So the diet mightn’t affect your figure nearly as much as you would want it to. That’s supposed to be a key reason behind this diet, but there isn’t any evidence of that. In fact, the people promoting the diet really don’t provide evidence for anything at all. There are a few ways that you can boost your metabolism, like using interval or strength training or eating more omega-3s (5). But, the 3 day military diet doesn’t follow those approaches. The diet is incredibly unlikely to have any effect on your metabolism. In fact, some people would argue that the amount your starving yourself might even have the opposite effect (6). A really good general rule with dieting is that the longer it takes you to lose weight, the longer it will stay off. That’s not true in every single case of course, but it is often true. When it takes you time to lose weight, you develop good eating practices and habits. This process lets you change your entire lifestyle for the better. When this happens, you don’t really do dieting anymore. Instead, you have a healthy lifestyle that lets you lose weight and keep it off. When you follow a diet like the 3 day military diet you suddenly force a whole set of strict rules upon yourself. At the best of times, those rules would be hard to follow and you’d constantly be craving things you’re not allowed (chocolate comes to mind). The 1,500 calorie days help a bit, but they still aren’t enough to teach you good habits. For most people, those days would simply end up being a less intense version of restricting. Now, you can’t constantly restrict your food intake for the rest of your life. If you could, you would have lost the weight already. Instead, you might follow the diet until it gets too much or until you’ve lost the weight. Then, you stop. What happens next? Well, you have no healthy habits in place and no tools to make the weight loss last. So, most people would gain it back. That process is called yo-yo dieting and it is so incredibly common. Part of that issue comes from that fact that you are fighting the a hormone called leptin and that can majorly sabotage your efforts. And, as Paleo Leap points out, yo-yo dieting can be extremely bad for your health - regardless of your specific weight. So, what about the diet itself? Does it work? The basic answer is yeah, it probably does, but only in the short-term. Losing weight successfully basically comes down to using more calories than you are getting in. Both parts of this diet involve dramatically cutting down your calories, so many people will lose the weight. But, you’re not doing yourself any favors. As I mentioned before, losing weight that fast can be dangerous for your health – especially if you’re not being medically supervised in the process. Any diet this strict is also very difficult to follow in the long-term. After all, one of the key reasons that the diet is popular is that losing 10 pounds in 3 days sounds fast and easy. I suspect that most people following the diet don’t even last a week. There will be exceptions of course, but even then, sticking to the diet long-term would be extremely difficult. That, right there, is the biggest problem with the diet. This diet is not designed to be followed in the long-term. In fact, you’d make yourself sick if you tried to because there simply aren’t enough nutrients. To make matters worse, you’d rebound pretty quickly after the diet. If you can’t follow a diet in the long-term then it simply isn’t the right way to lose weight (7). And, as Wellness Mama points out, many approaches and goals simply set you up to lose. At the end of the day, this is simply another fad diet and it is far more likely to harm your health than help you. What are your thoughts on the 3 Day Military Diet? Fad or effective diet? I’ve started on the diet last week in the hope of losing 10 pounds in time for my sister’s wedding. So far after the 3rd day, I lost only 6 pounds. But, I’ve read that I can cycle the diet which was confirmed by your post so I’m starting it again this weekend. Thanks to the meal plans, the diet is very doable. For a short-term diet such as this one, you can’t go wrong with losing a few pounds. I hope I can lose around 4-5 more this week. I like that the diet allows food substitutions. For this week, I’m replacing the ice cream with Greek yogurt to make it healthier. Same with the canned tuna – replacing that with broiled cod. Best of luck to you. In theory the diet can help with weight loss (and you’re right, Greek yogurt is better than ice cream). Nevertheless, you need to make sure you switch to a healthy diet/lifestyle afterwards, otherwise you will just gain back any weight that you lose. Likewise, please do be careful. One of the reasons that I don’t recommend this particular diet is that you don’t get many nutrients. That may be an issue if you plan to cycle on and off the diet.